Some of our standard plaster mouldings, like corbels, are used to imitate more traditional supports that were architecturally designed. Using standard moulds, or creating unique and bespoke corbels, our team is able to produce extremely well designed and constructed pieces. Our clients can expect the finished pieces to withstand the weight of the shelf or structure that they will used to support. 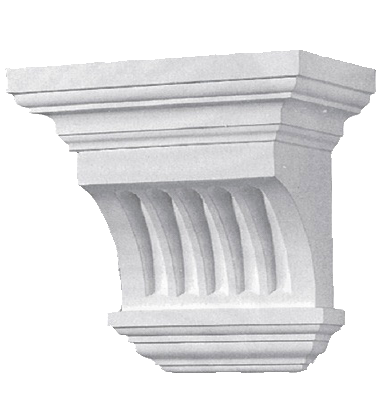 Corbels were used to enhance the appearance of something that may otherwise be slightly uninspiring. They would traditionally be used to reflect the elegant design of other interior accessories such as cornicing and beams. And imitate detailing such as external columns and corbel arches around doors and interior corridors. We don't limit our corbel solutions and invite our customers, past, present and future to enquire about our bespoke and standard plaster moulding service.